We’re less than a week away from the launch of Destiny, and we’re giving IVG members a chance to win a copy of the game on the platform of your choice, courtesy Amazon.in. All you have to do is answer one simple question to enter the contest, which ends on 9th September, the game’s release date. All correct answers will be entered into a lucky draw, from which five winners will receive a copy of Destiny. The winners will be announced on 10th September. This contest is open to all IVG members (registration is free) residing in India. 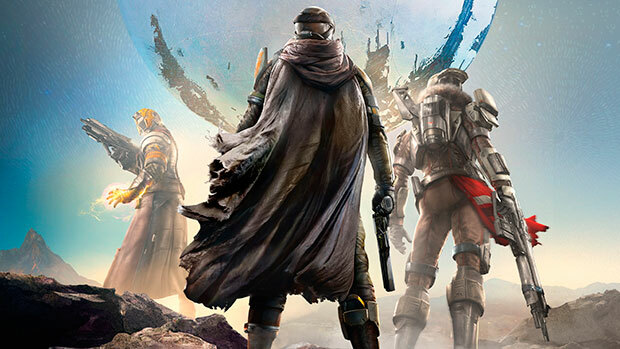 If you’d rather no take your chances with the contest, you could preorder Destiny on Amazon.in now. The game is listed at a preorder price of Rs 4,299, but you can get a further Rs 500 off when you use the code IVGDE500. I just got my PS4 so I would love to win this! Plus I don’t have money to buy new games after spending it all on a PS4.